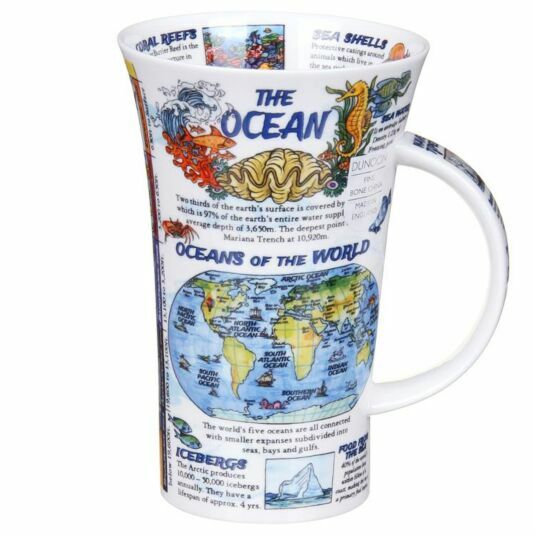 Two thirds of the earth’s surface is covered by sea water, and the earth’s five oceans are all connected by smaller expanses of water. 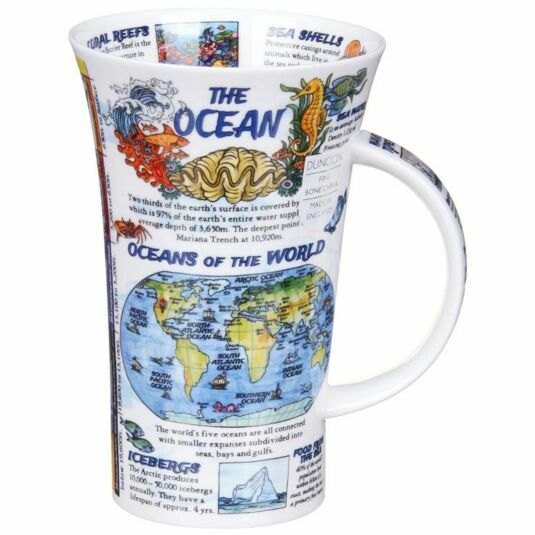 This tall and informative mug from Dunoon tells the story of the seas, with fascinating facts and detailed illustrations. A useful mug illustrated by Caroline Dadd to make your coffee break that bit more interesting!